Choose your music in advance! Complete DJ & karaoke service! Customized games, music and rental! We offer complete DJ and karaoke service with two DJs to help you make announcements and MC your event. Karaoke at extra charge complete with TV, twin microphones and over 8,600 songs on karaoke discs. Our music is hand selected from the 50s to present day. 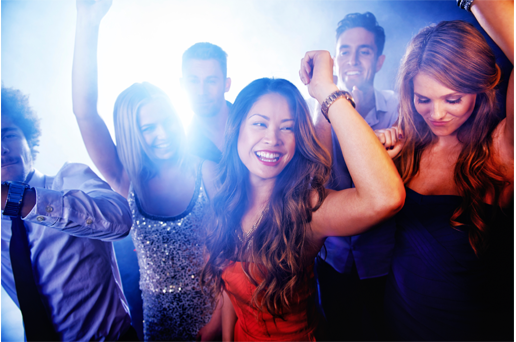 We offer a flat fee, not by the hour, regardless if it is a two-hour party or five-hour party, same price. You may choose to go over five hours for an after-charge of $50 per hour. Ask about our karaoke pricing. Serving All of CT, Western Mass, Upstate NY. We have customized games, music and rental. Having fun is our middle name, professionalism is our goal! Call us for more details and a free quote today! Thank you so much for providing such a great time on Saturday for our event. Everyone had a great time. You kept it lively & entertaining and did a great job getting everyone involved. Again, thanks so much! Jim Koutsopoulos, better known as “Mr. Jukebox Entertainment” has been providing first class DJ, Karaoke and Jukebox entertainment to the Lakeridge Community for the past 12 years. Jimmy and his staff are as professional as they come! Each experience is something new and exciting; from poolside and holiday parties to theme events, Jimmy engages the crowd and encourages participation making for a fun and memorable occasion! Whether it’s dancing to the oldies or groovin’ to the most popular tunes of today, Jimmy is a sure crowd pleaser! Lakeridge looks forward to having him back again this summer! Here is an example of just one page from our vast Karaoke selections!